I first came to realize that I pray "by hand" when quilting. 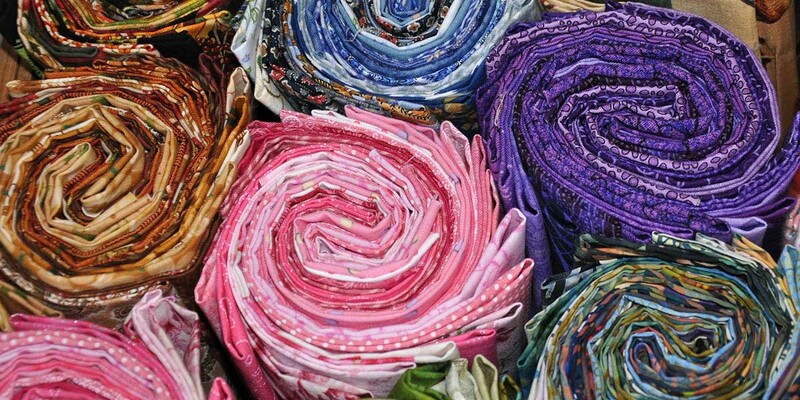 I search through a scrap collection of fabric, looking for the color and textures, to find a way to combine them into a pattern of meaning, beauty, and order. Many scraps have been saved for years for just the right place to be used. I sew the pieces together into a top and then quilt the top to a backing with a warm, hidden internal batting in between. Every thread and square inch of fabric passes through my hands. The steady, repetitive motion of the sewing and the ending and beginning again of the lines of stitching are meditative and comforting to me. Many times when I am unable to pray mentally, I find my prayer continuing on through my working hands. I "talk" to the quilt and give voice to myself. All of these things come together in a creative process, and a blanket of love and warmth emerges. Even if a quilt is judged homely or poorly constructed, it can still give warmth and serve a useful purpose. Sometimes I have a purpose and destination in mind for a quilt. Many times I do not know whom or what the quilt will be for, but by the time I am finished, it will become apparent that this quilt is for a particular someone whom I have been praying for while I have been working. It could be a friend, a child, a family member, or even someone I have never met. To receive a handmade quilt is to receive a lavish gift because it is a gift of hands and heart, of thought, of attention, and of life in which the giver knows well the cost. To give someone your handmade quilt is to know the unspeakable joy of lavish giving. Quilting has taught me much about prayer and the way in which I pray. Like an infant, I have found and seen my own hands and realized what a gift of God they are. My prayers come from the pieces I have discovered and lovingly gathered and measured over time. I build from the beginnings of others and add my own vision to theirs. Nothing is ever wasted. My hope is to join the pieces together into a beautiful form and return them to use in a new creation. I do this in a laborious and old-fashioned way; I do it by hand, for love works through my hands. Source: Alive Now (September/October 1998), p. 56.